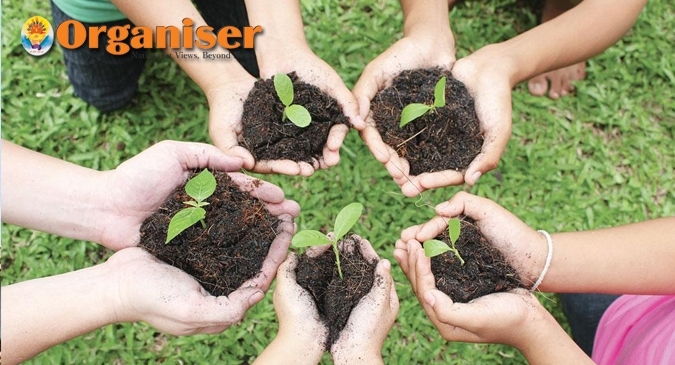 How to make farming an attractive career proposition for the Indian youth? Indian economy has been in a great shape. It has indeed come of age on the strength of a phenomenal growth story during the last four years. The World Bank has hailed India as the fastest growing nation among the world’s major emerging economies, and lauded its economy as robust and resilient, with a potential to deliver sustained growth. Such splendid success would not have been possible but for an astounding performance by the industrial sector. New horizons of development came into focus when our country set a record last year by launching a hundred satellites simultaneously into space. India is poised to become only the fourth country in the world to send a manned-spacecraft by 2022. Under the global brand of ‘Make in India’, the country is becoming a global hub, especially in the electronics and automobile manufacturing segments, as stated by Prime Minister Narendra Modi during his recent visit to Japan. It is rapidly moving towards becoming the premier mobile phones manufacturing country. Indian culture, with its various facets such as Indic studies, Sanskrit, philosophy, yoga, performing arts, comparative theological study, etc, is becoming increasingly popular all over the world. As such, it is making inroads into the thought and political processes the world over, especially in the Western hemisphere. Since a long time, our country has been biding its time to take its place among the comity of nations as Vishwa Guru. The prospects of India’s tryst with the crowning glory in a fast-changing world order seem brighter at this point in time than at any time in the past. In such a promising developmental scenario, a significant chunk of credit for the stupendous success of the economy goes to the farming sector, the importance of which could be hardly exaggerated. Although it accounts for only 18 per cent of our country’s GDP, the farming sector, being the mainstay of the economy, provides employment to over 50 per cent of the workforce. What is more, there is a tremendous scope for further enhancement of the development indices of the sector. The scope, however, needs to be tapped and exploited by undertaking urgent measures to ensure maximum benefit. To this end, it is imperative to target the youth segment of the workforce, looking for cushy jobs in urban areas. Enrolment of youth in the farming sector is very important as they are today’s roots and tomorrow’s trunk and branches of the magnificent Kalpataru of Indian economy. This is, however, easier said than done in the unenviable conditions currently prevalent in the farming sector. The lure of a comparatively easygoing lifestyle in the urban areas, which flows out of salaried employment in the government and private sectors, is too hard to resist for most of the youth. Therefore, unless a fundamental change is brought about in their mindset and attitude, farming as an option will continue to remain a poor cousin to employment prospects in the urban areas. In India, the very mention of farming conjures up in the mind of an uninformed person, an image of tilling and toiling in the sun and rain, let alone droughts and famine, using traditional equipment and manual methods, with no certainty of a steady income even at the best of times. Another popular perception about farming is that people from the upper strata of the society don’t take to agriculture as a vocation. Owning vast stretches of land is fine and indicative of one’s wealth and status but to be called a farmer is tantamount to being branded as a handler of a menial job, no matter how much the income. The opinions mentioned above not only have a solid base but also tend to influence the ground realities. The appeal of the farming sector that rides on the shoulders of the perceptions would undergo a vast transformation only when there is a substantive change in the ground realities. Unless and until there is a significant shift in the attitudes, it would be unrealistic to expect the youth to accept farming in their career options. The need of the hour is, therefore, a paradigm shift in perceptions. There is a laundry list of irritants, minor and major, which currently ails the farming sector. Modernisation of the farming methods and equipment is the primary change that needs to be ushered in. Similarly, in place of crops traditionally cultivated year after year since time immemorial, there has to be a judicious mix of traditional crops and cash crops to make farming a sustainable source of livelihood. Furthermore, to improve and augment food production, the factors to reckon with are drip irrigation, usage of modern agricultural implements and equipment, counselling by experts in areas ranging from ploughing to sowing, cultivation, harvesting, marketing, etc. To make life more agreeable for a farmer, an assured income at a reasonable investment in a government scheme, a viable insurance scheme to offset the loss and damage to the crops owing to droughts and famine, soft farm loans, water and electricity at subsidised rates, minimum assured prices for the crops, etc are the areas to be addressed. Where there is no law or scheme governing these matters, necessary legislation process should be initiated immediately and appropriate laws passed. The existing regulations governing these matters need to be periodically revisited and reviewed by the government. In short, the peasant should never be left high and dry. Moreover, he should never feel defenceless and vulnerable, placed as he is between the vagaries of weather on the one hand and the maze of government agencies, loan sharks, etc, on the other. 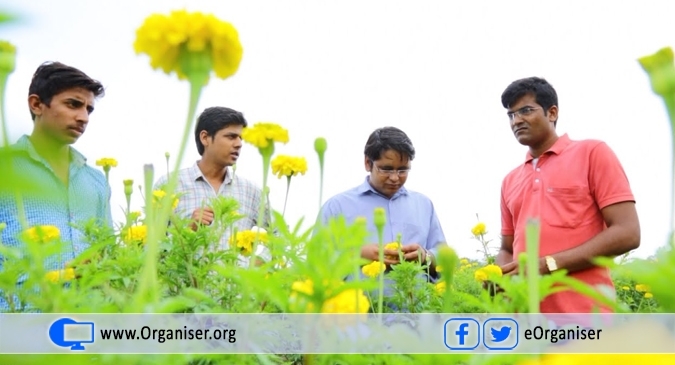 Universities owe a lot to making farming an attractive and lucrative career proposition for the youth. This starts with motivating the students and appraising them of the career prospects that await the successful completion of a course in agricultural studies, and assured career progression in services such as research and application of findings in farming, counselling of farmers, and careers in centres of procurement and marketing of crops, food processing, exporting of farm produce, production and marketing of modern agricultural implements and equipment, raising of cattle and other farm animals, water management, etc. More and more students could be motivated to become successful farming entrepreneurs and adopt a cluster of farms and run them for the farm owners through farm workers on the lines of a corporate enterprise. The resulting enhancement in the production of crops and an increase in revenues would bring in significant profits and success for the farmers while also ensuring that the farm workers are paid getting paid good salaries and allowances, without having to fear risks and perils associated with farming and other agricultural activities. Every course in academics has to be, by and large, career-oriented and so should be farming. Furthermore, let us have an exclusive Indian Agriculture Service on the lines of the Civil Service to make the marriage between academics and employment in the farming sector viable and attractive. There are countries where compulsory military training is the norm. Let India set a new norm by making farming a mandatory part of academics. Also, let us catch them young by associating school students with farming. The rest will be history, with a promising farming sector of tremendous appeal and lucrative career options. Start-ups in farming and farm technology should be extended a helping hand by government by way of easy loans and skill training. Formal meetings and discussions with foreign players are to be organised. In reality, the minimum support prices as declared by the government rarely reach farmers. Only in wheat and rice they are implemented properly and remaining crops are sold way below the declared MSP. Many reports have pointed out that Indian agriculture will be badly hit by climate change and warming. Efforts must be made to adapt to climate change and secure our future. Convincing youth to join agriculuture is no mean task. Jobs in information technology, banking and financial services etc are so relaxed as compared to using tools in farm in scorching heat. A few farmers have shifted from traditional farming to sowing flowers and other cash crops. Skill training to farmers can help them change to newer crops which are in demand in global market. BJP government has initiated many new schemes for farmers including more crop per drop, fasal bima yojana and increased minimum support price. These call will benefit the agriculture sector in long-run. One type of crop cannot be sowed all across India as the soil and other conditions are very different. Lack of inputs by Indian farm scientists is causing crop failures and farmer distress. The idea of having Indian Agricultural Services is promising. Today, much of the sector is unorganised and information on government schemes is scattered. By having high officials, farming can be improved. Not a single farmer in India would want his child to pursue agriculture in case there lies an opportunity in some other industry. This picture must be changed and farming be made a profitable venture. It is not advisable to move the youth hurriedly into farming activities since the sector already has huge influx of workers and the productivity is low and prone to various risks.